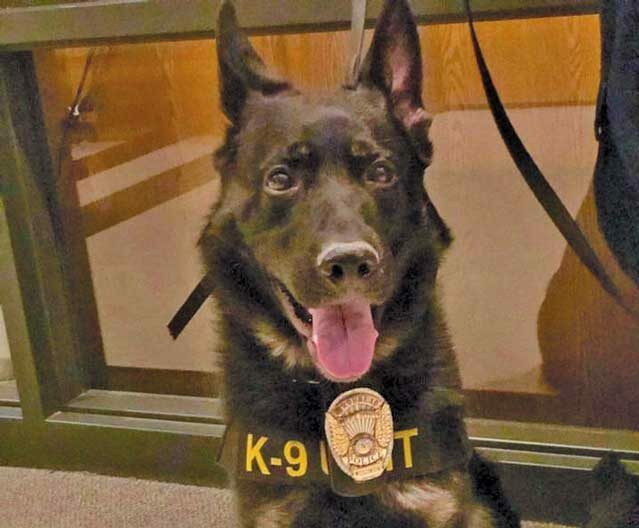 Arrow is the newest addition to the Brodhead Police Department. Common Council received committee reports and swore in K-9 Arrow last week. Arrow acquired his very own badge as Mayor Pinnow swore him in. Police Chief Chris Hughes spoke of Brodhead’s journey to acquire a K-9 unit. Public Safety, Finance and Personnel and Common Council approved the K-9 program in October 2016. Arrow is a three-year-old German Shepard who hails from Schreufa, Germany. Arrow was paired with Brodhead Officer Brian Bennett through a training center in Campbellsport, Wis. The training center worked to ensure Arrow was a good fit for Officer Bennett as a partner, as well as his family.